May Fayre 2018 For information about the Milford on Sea PFA May Fayre, please click on the link to get in touch with Sean Reeves. Welcome to the PFA section! 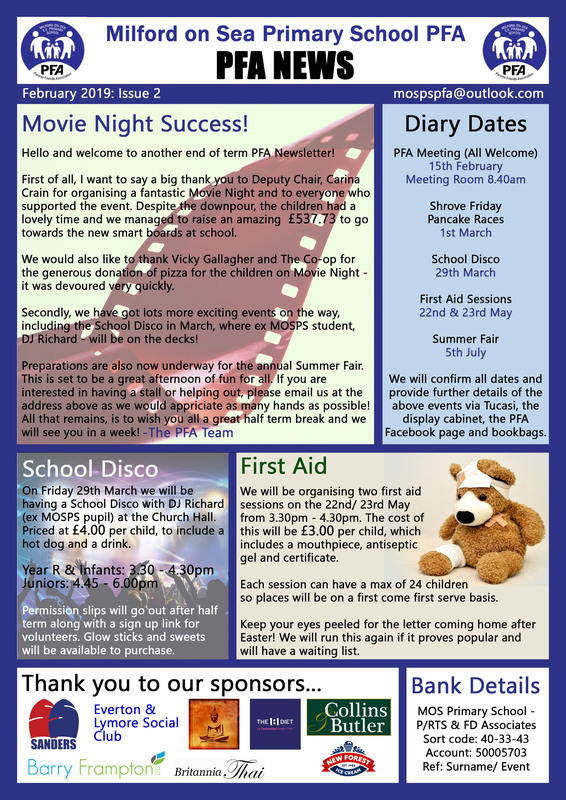 Welcome to the Parent Friends Association (PFA) at Milford-on-Sea Church of England Primary School. We are a committee of volunteer parents of children currently at the school. The PFA is a registered charity working to raise funds for our much loved school. At the start of each school year, we work with the teachers and pupils to work out what they would like to have at their school, those little and not so little extras the school budget cannot stretch to. In 2014, we opened the school’s very own Eco-Pod (outdoor classroom) situated near the school garden and nature reserve, which was funded solely through two years of fundraising. We are currently in the process of purchasing outdoor seating for the children, and a “wishlist” of future items is being compiled by the school. We just couldn’t do it without the support from all parents. That might be you volunteering to help us out at an event for a short time, or just supporting us in your attendance at the various events we organise throughout the year. Many events are organised by the committee, such as the Christmas Fair and Quiz Night but look out for new exciting events in 2015, which will help us reach our fundraising targets. Past experiences have shown that the “more hands on board, the lighter the load for everyone is “and more importantly this has a significant effect on the success of our events and its fundraising total. So please if you would like to become one of our PFA Volunteers – whether you are a mum, dad or grandparent - and can spare some time now and again to help us out then please let us know. The volunteers will be called upon to help out with running an event on its chosen day and this could be anything from serving teas and coffees, selling raffle tickets or manning a stall for half an hour. The choice will be yours, you won’t end up doing something, you don’t want to! Or if you have a specific skill, such as design, carpentry or sewing to name just a few then let us know. Between us all, this school has a wealth of talent that we can tap into, and ultimately benefit the children who go there. 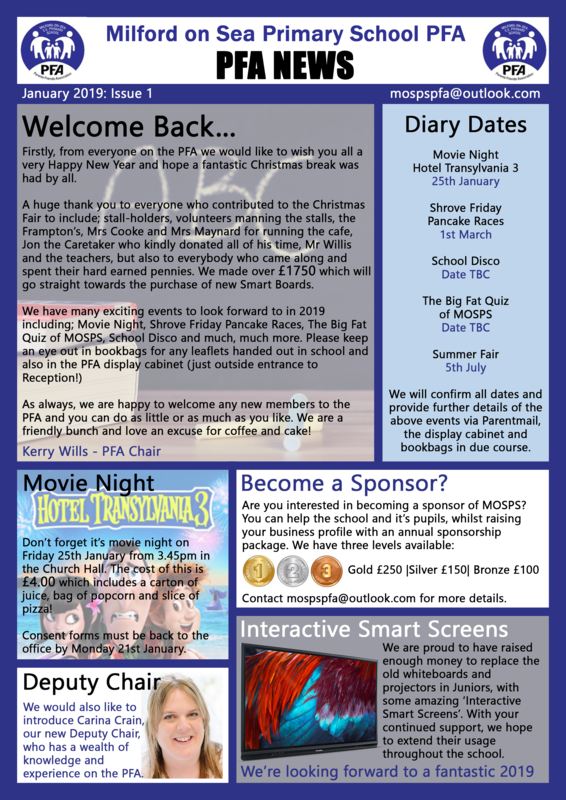 You can contact us by email at mospspfa@outlook.com, leave a message at the school office or just chat to one of the committee members on the school run.